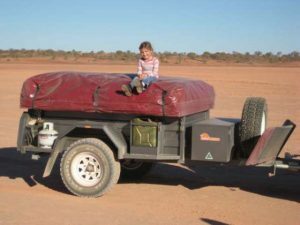 Sunset Campers™ is a proudly Australian owned and operated business. Sunset Campers was originally established in Ballarat, but now under new management, our manufacturing and distribution centre is based in Mount Gambier, SA. 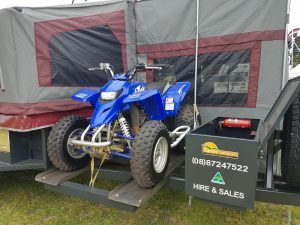 We have a small team of 3, and together we manufacture, sell and hire a number of different models including on and off road camper trailers. We specialise in building heavy duty campers that suit all budgets with prices starting at a low $8900.00. Why buy elsewhere when you can get yourself a quality, affordable camper trailer at factory direct prices from the manufacturer. Refer to our Australian Made Certificate to be confident you’re purchasing a verified Australian made camper trailer. Our factory premises is located at 71 Sturm Road, Mount Gambier, SA. For inspection of our camper trailer range we ask that you ring prior to ensure best possible service. We also have campers available for hire in Devonport, Tasmania – conveniently located only 5 minutes from the wharf. Please organise hire through our Mount Gambier branch.